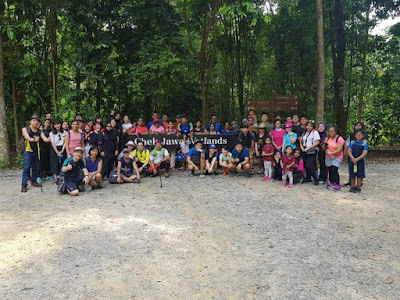 Lisa Lim and her stalwart volunteers from Nature Society did two cleanups involving a total of 50 volunteers who removed 230 kgs of trash from the R.U.M. 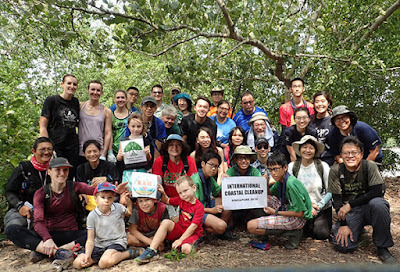 restoration site at Jalan Durian. More here and here. For updates on the next clean up, join the R.U.M. facebook group or register as a R.U.M. volunteer. The RUMblers also came together to support the launch of the heritage wall at Ah Mah's Drinkstall. Organised by Singapore Heritage Society (SHS) and the NUS architecture team who rebuilt the stall, the launch was hosted by Minister Desmond. Supporting this event were volunteers from Sea Angel and R.U.M. 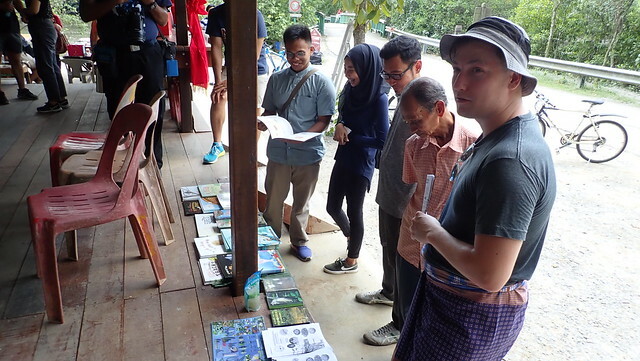 We had fun sharing about mangroves. Jared shares in Bahasa with Syazwan's family. Latest RUMbler Shen Yan Low shares with Minister. Phillip Lim of the Sea Angels played a key role in the reconstruction of Ah Mah's Drinkstall. 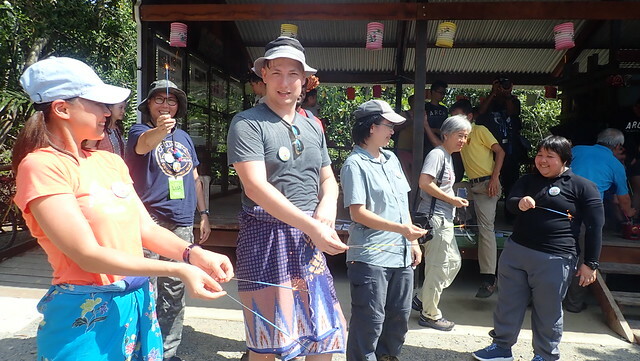 And he and his Sea Angel volunteers led in the celebrations at the launch. 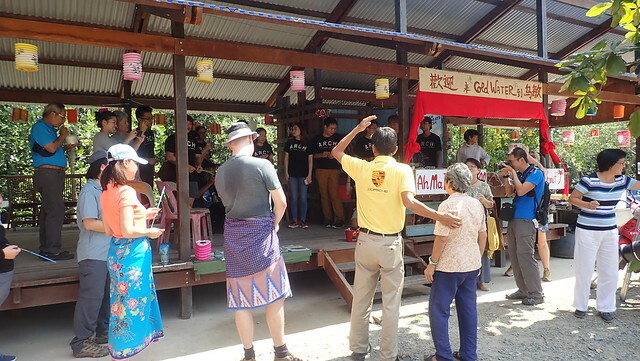 The RUMblers happily joined the rituals to bless the new Drinkstall! 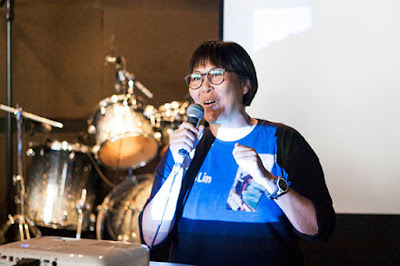 In August, Lisa Lim shared about her work with R.U.M. and many other nature volunteer opportunities during the Sea our Shores Workshop by the youths of Lepak In SG for International Year of the Reef 2018. 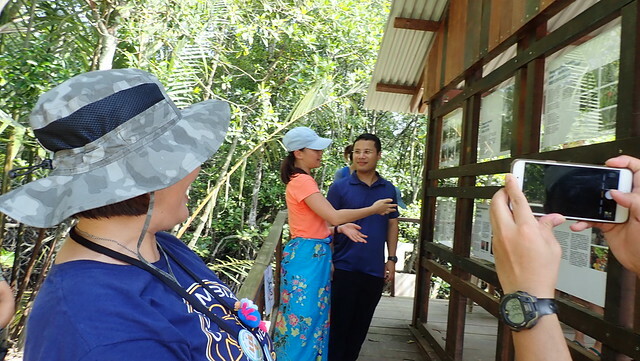 Meanwhile, Phillip continues to take visitors on tours of Pulau Ubin, sharing about the mangroves and the work of R.U.M. One of the many groups Phillip Lim shared with. In September, thanks to Prof Dan Friess, we had a chance to share about our work with his esteemed colleagues on 26 Sep 2018. So wonderful to meet and learn from so many passionate leaders. And nice that people liked our R.U.M. colouring sheets!